Second Monster Kelvin Wave Forming? 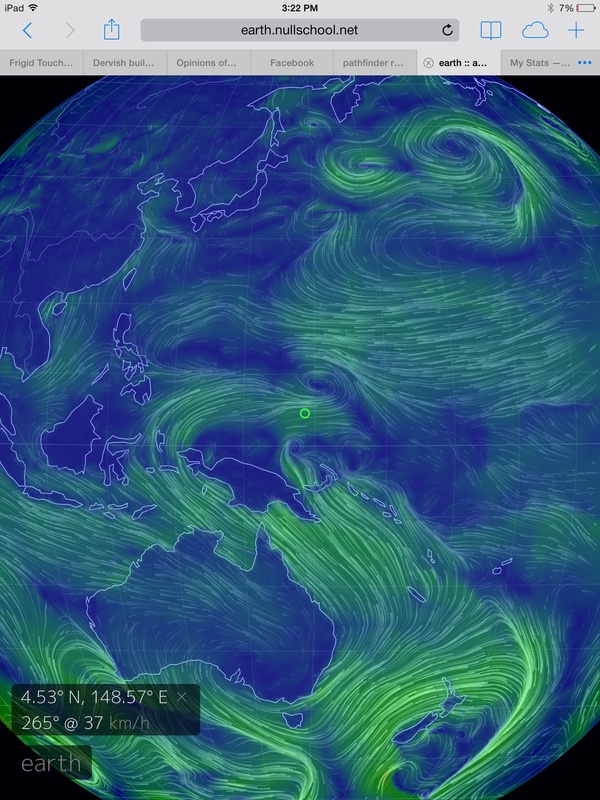 West Wind Back Bursts North of New Guinea Rival Intensities Last Seen in January. This January, a powerful period of west wind bursts tapped a very hot, deep pool of Pacific Ocean water and shoved it eastward along the equator. 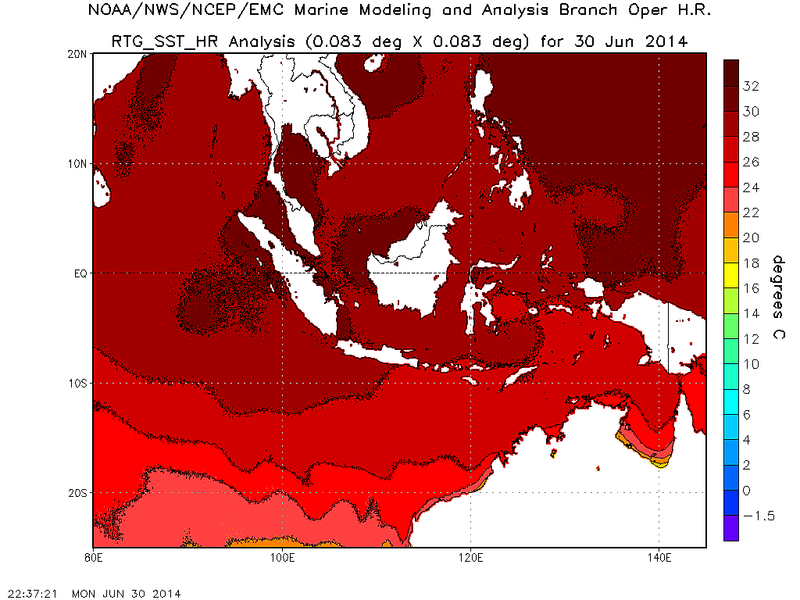 The hot water was driven downward by Eckman pumping forces even as it began to propagate across the Pacific. The resulting Kelvin Wave was, by March, among the most intense sub-sea warming events ever seen for the Equatorial Pacific during this time of year. By late May and through June, this heat had transferred to surface waters and the Equatorial Pacific, overall, had greatly warmed. 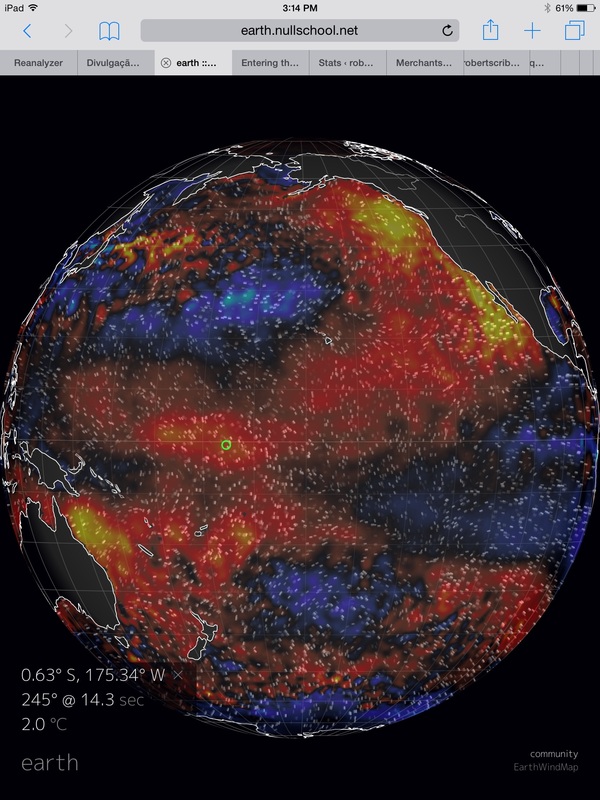 This initial warming prepped the ocean surface for continued atmospheric feedbacks and the emergence of an El Nino by sometime during the summer and fall of 2014. A monster event that, should it form on top of human-caused warming, could push both global temperature and weather extremes to record levels never before seen. 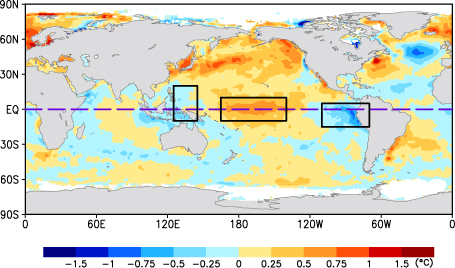 But for El Nino to continue to emerge, more strong west wind back bursts are required to keep shoving the hot pool of Pacific Ocean water eastward, spreading it out across the Pacific and dumping its warmth into the atmosphere. Now, during early July, just that appears to be happening. For along a synoptic band ranging from the Philippines to north of New Guinea and the Solomon Islands a powerful zone of west winds has emerged between two double-barrel low pressure systems. The first set of lows form a broad counter-clockwise circulation along the 10 degree North Latitude line. 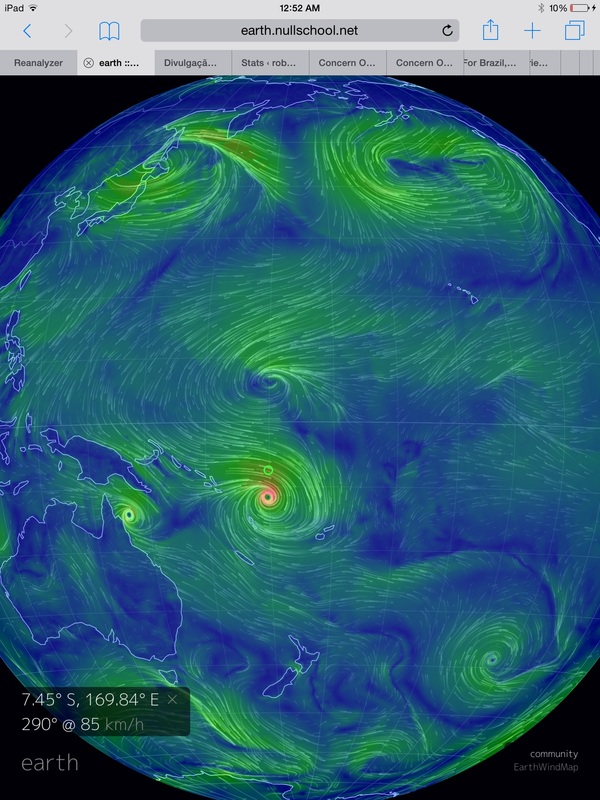 The second set hovers just south of the equator, forming a clockwise wind flow. These two wind patterns merge in a significant back-burst pushing against the traditional flow of the east-to-west trades. Wind speeds in the anomaly zone are in the range of 30-40 kilometers per hour with higher gusts, or currently just shy of the wind strength observed during the very strong January west wind back burst. It is worth noting that winds in this region have been slowly intensifying over the past few days. So any further increase in strength would make this event easily comparable to the January event that spawned such a powerful Kelvin Wave. Surface waters in this west wind zone range from 86 to upwards of 90 degrees Fahrenheit over a broad zone along the equator and northward to a very hot pool just east of the Philippines. Eastward and downward propagation of such intensely hot water, driven by these strong west winds has the potential to generate a second strong Kelvin Wave. The back-burst winds we are seeing now are strong enough to generate such a wave and the sea surface temperatures in the region are at very high positive anomalies, especially in the region east of the Philippines. Propagation of a second strong Kelvin Wave would spike 0-300 meter temperatures again and would lock in the formation of the expected El Nino later this year.